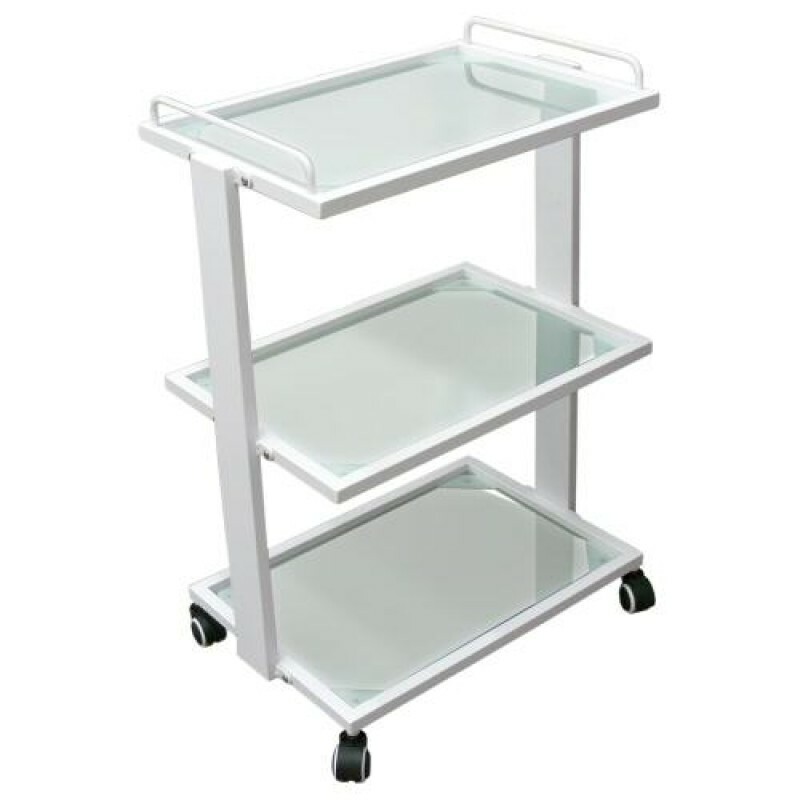 With the Large 3 Tier Glass Shelf Trolley Unit available at Natali Products, you can move esthetics essentials and small equipment in the spa with ease. Designed with a modern silhouette, you can seamlessly incorporate this small trolley into your spa’s décor. To prevent objects from getting knocked off the trolley, there are two guards on the top shelf. The trolley also sits on 4 sturdy wheels allowing for easy mobility.